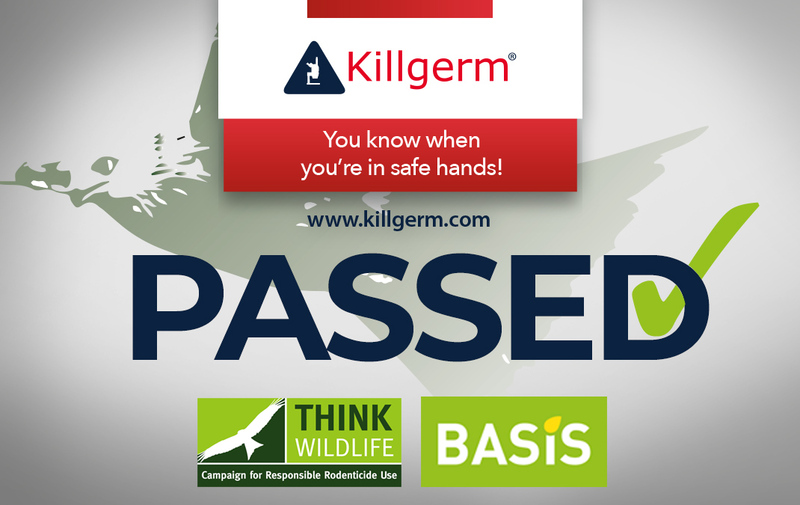 Killgerm Chemicals UK are proud to announce that they have successfully passed their first CRRU UK (Campaign for Responsible Rodenticide Use) Point of Sale Audit with flying colours. The purpose of the CRRU UK Point of Sale Audit is to implement the stewardship regime’s core requirement for proof of competence checks at the point of sale for rodenticide baits. The audit was conducted independently by BASIS. CRRU UK work with all rodenticide distributors to ensure installation of procedures are in place at the point of sale and to check that stewardship-approved qualifications are fulfilled by all purchasers and users of rodenticide baits. CRRU UK and BASIS have worked together to devise and implement the independent audit procedure for compliance with point of sale requirements among all UK suppliers of ‘stewardship conditions’ rodenticide products. Error: Error validating access token: Session has expired on Sunday, 17-Feb-19 03:23:39 PST. The current time is Thursday, 18-Apr-19 21:31:14 PDT.